As you get older, you start getting tired faster. This is a sign of your body “slowing down” internally — which can affect your health and make you gain weight. Energy Renew is designed to help your body “re-energize” — on the cellular level. Energy Renew contains my uniquely powerful supernutrient blend that’s been proven to skyrocket your energy, support your immunity and a healthy metabolism, and help you reclaim the vitality of someone years younger. WHY GUNDRY MD ENERGY RENEW? Energy Renew is designed to help you get the “pep back in your step” in your 50s, 60s, and beyond. Using a unique combination of phytonutrients, it helps enhance your energy and metabolism on the cellular level — so you can feel great, look great, and thrive at any age. Thousands in the Gundry MD community now swear by it to get them through the day — including Dr. Gundry himself! WHAT ARE THE INGREDIENTS IN GUNDRYMD™ ENERGY RENEW? WHO SHOULD USE GUNDRYMD™ ENERGY RENEW? 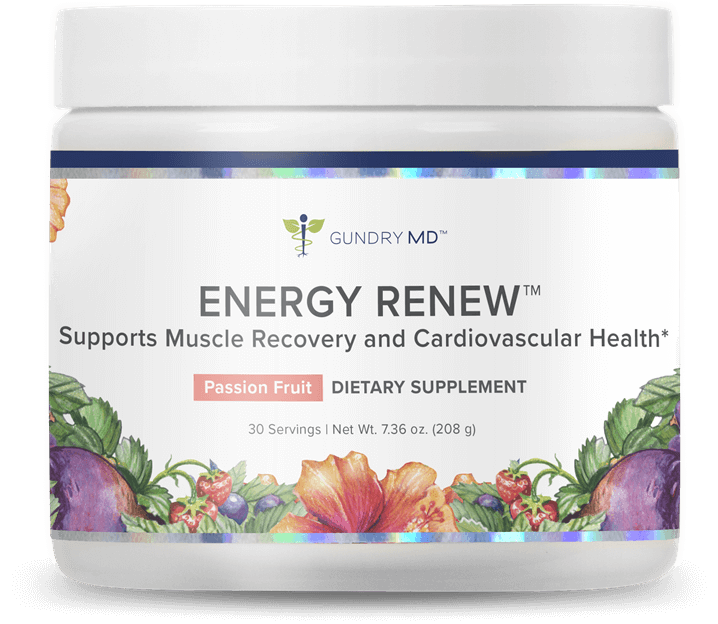 HOW PURE IS GUNDRY MD™ ENERGY RENEW? Gundry MD™ Energy Renew contains only 100% natural and safe ingredients. The formula is tested for quality and purity at an independent, 3rd-party facility. However, as a physician I recommend consulting with your own health care provider before beginning any new supplement, especially if you currently take prescription heart or bone-health medication. HOW DO I USE GUNDRY MD™ ENERGY RENEW? Using Gundry MD™ Energy Renew is easy. 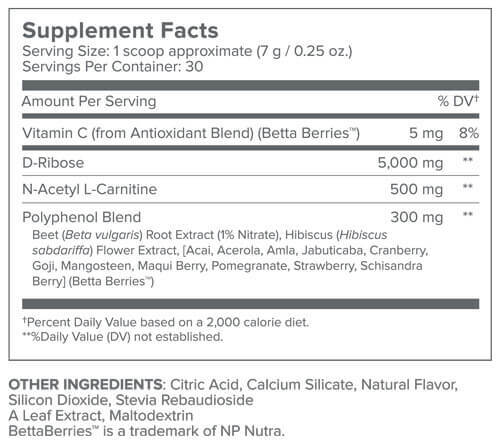 Simply mix 1 scoop of the passionfruit-hibiscus powder into 8 fl. oz. of water and enjoy! It’s absolutely delicious, and can be used any time of day. We’re as proud of our industry-best customer support as we are of our groundbreaking supplements, so we back up every single one of our supplements with our 90-day customer satisfaction guarantee. If you’re not happy with your results for any reason, simply contact our customer support team within 90 days of purchasing your products, and we’ll refund your purchase – no hassle, no worries.